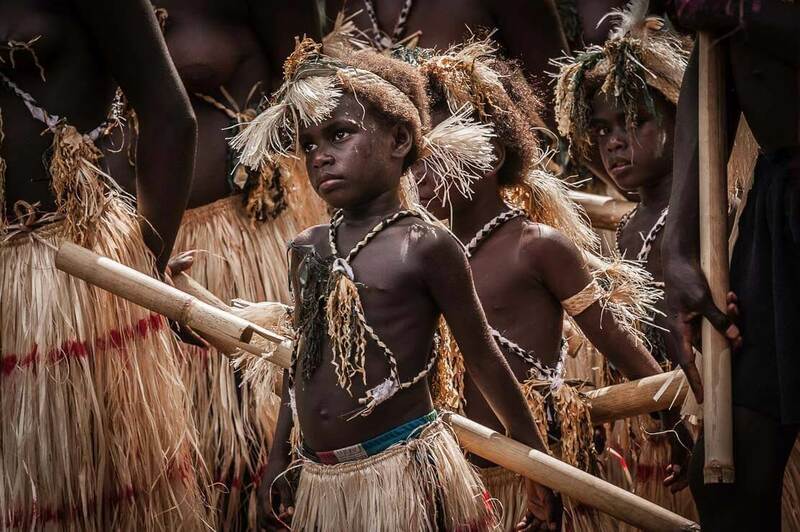 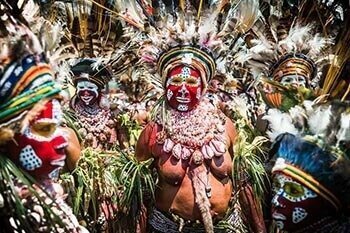 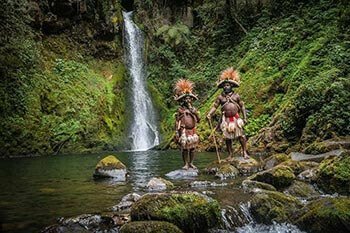 Tambul people live at the foot of the second highest mountain in Papua New Guinea, Mt. 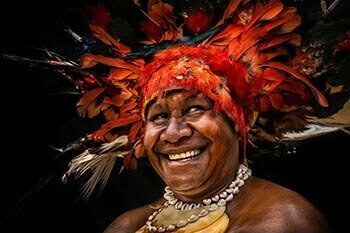 Giluwe. 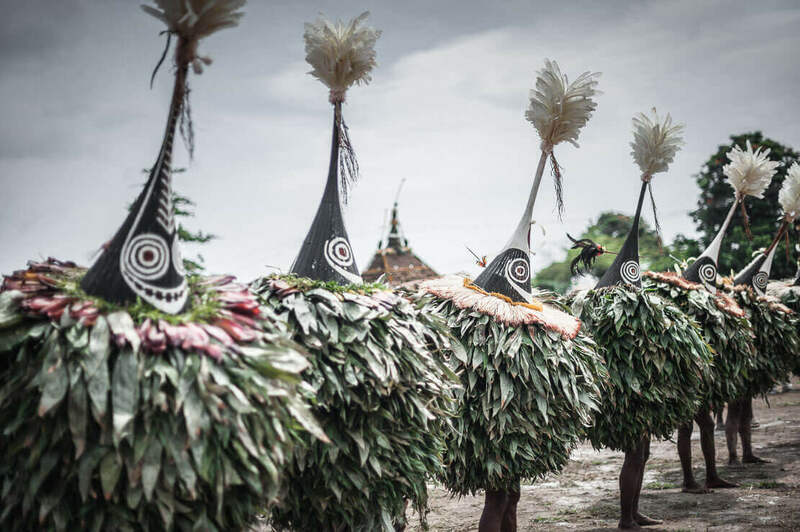 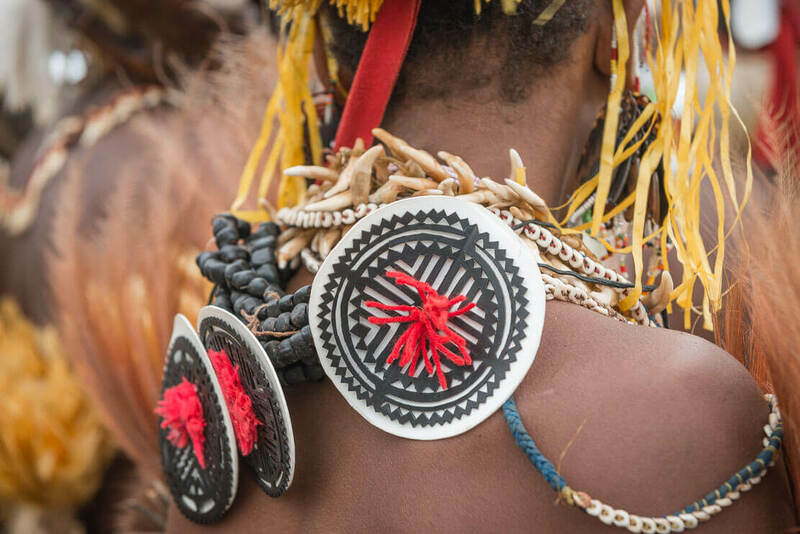 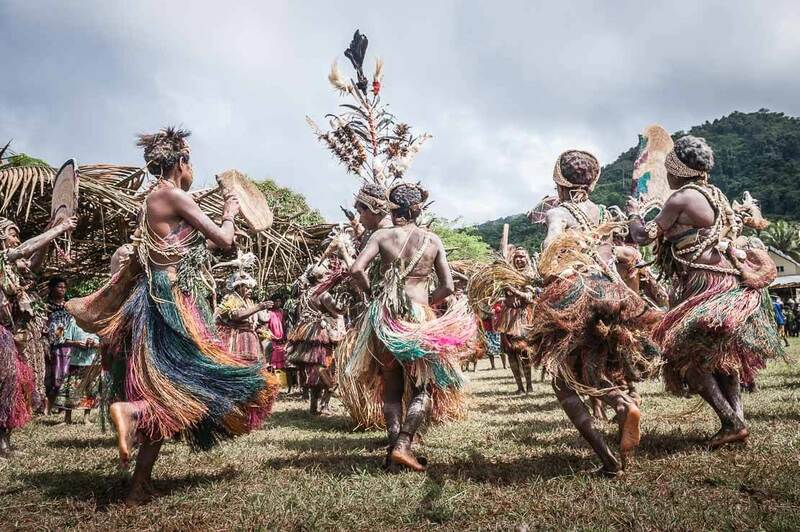 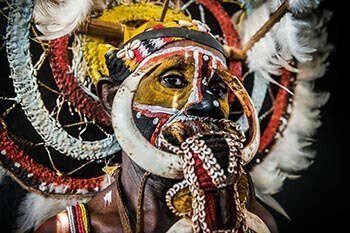 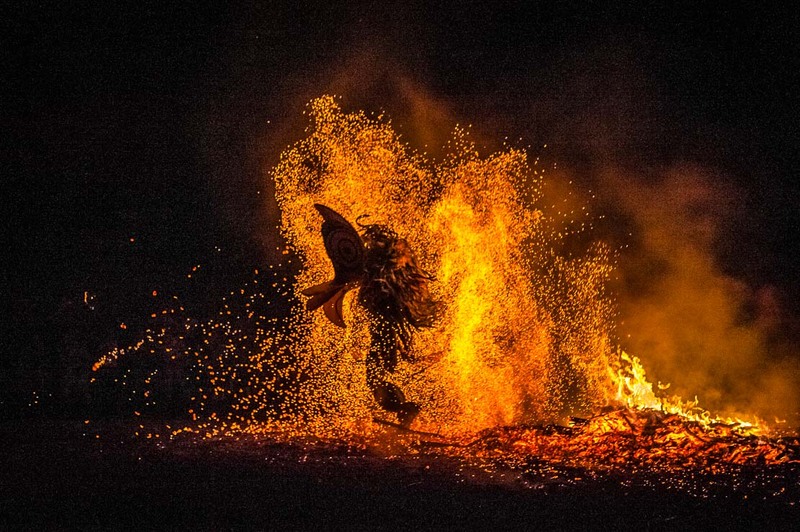 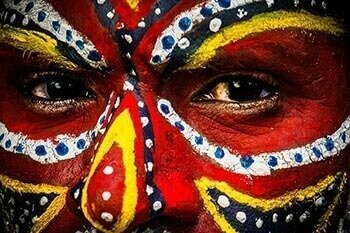 As they live on the border of Western Highlands, Enga and Southern Highland Provinces, their traditional dressing, face and body painting, singing and dancing are a mixture of those from these provinces. 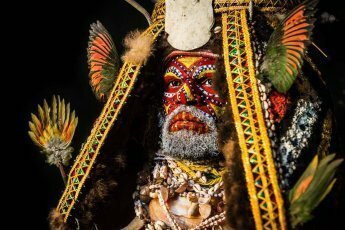 Tambul traditional “bilas” (body ornament) includes elaborate and impressive headdresses painted in bright colours and decorated with bird feathers, their faces are painted in red and yellow stripes giving the men very fearful, warlike expression. 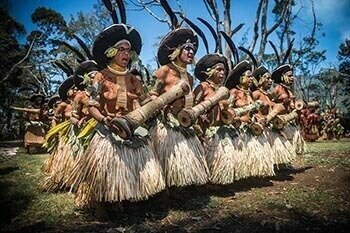 Their dances and songs resemble those of war cries. 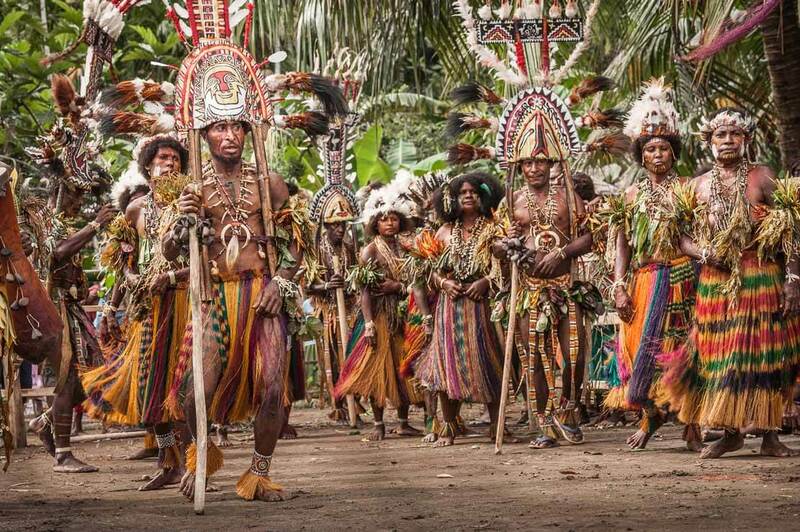 Most famous Tambul tribes include the Yano, Sipaka, Kaniba, Kulmindi and Yapo tribes. 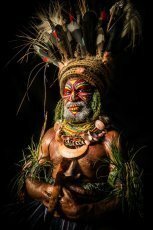 The Yanos are known for their courtship songs, the songs containing words with two meanings, one often sexual in nature. 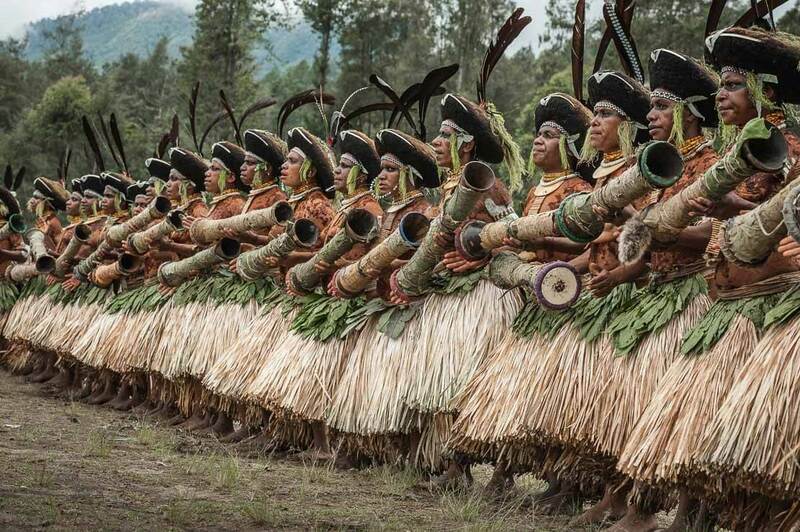 These courtship songs are common in many Highlands’ cultures. 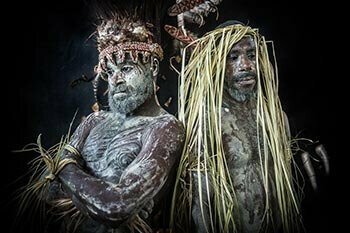 The Kanimba tribe is known for performing a “Box Contract”, a real life drama telling the story of Tambul people’s first contact with the Westerners. 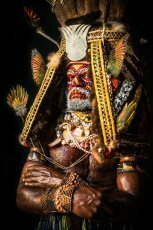 Tambul people are known for their big “Moka”, a traditional method of wealth exchange in which a man gives gifts to another man, who reciprocates by giving bigger gifts to that man. 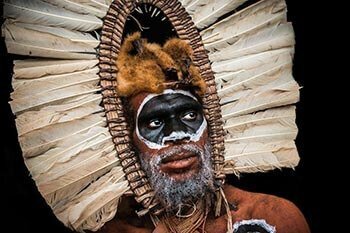 By offering more than received, the men gain prestige in the community. 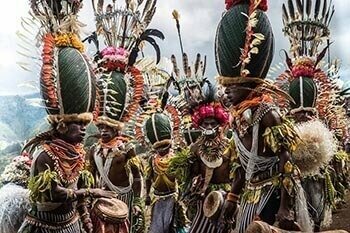 As man’s status in the community depends upon the size of his wealth in pigs, the man who managed to amass his wealth in pigs is able to make a large Moka, thereby becoming a bigman (village chief). 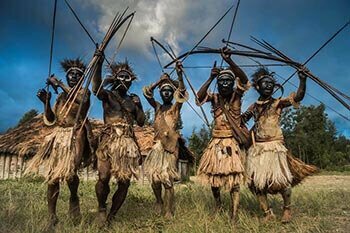 The men often borrow the goods from their clan to sponsor a big Moka ceremony. 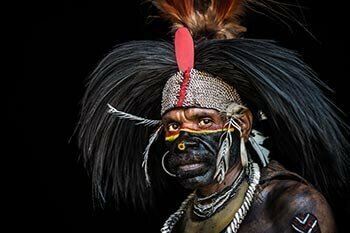 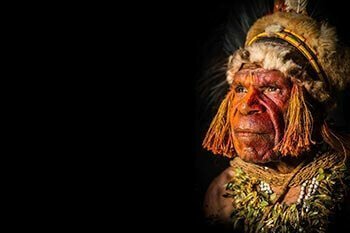 Tambul tribesman from Alkena village in Western Highlands Province of Papua New Guinea. Tambul traditional “bilas” (body ornament) includes elaborate and impressive headdresses painted in bright colours and decorated with bird feathers, their faces are painted in red and yellow stripes giving the men very fearful, warlike expression. 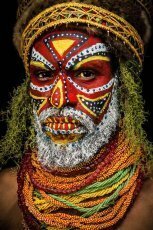 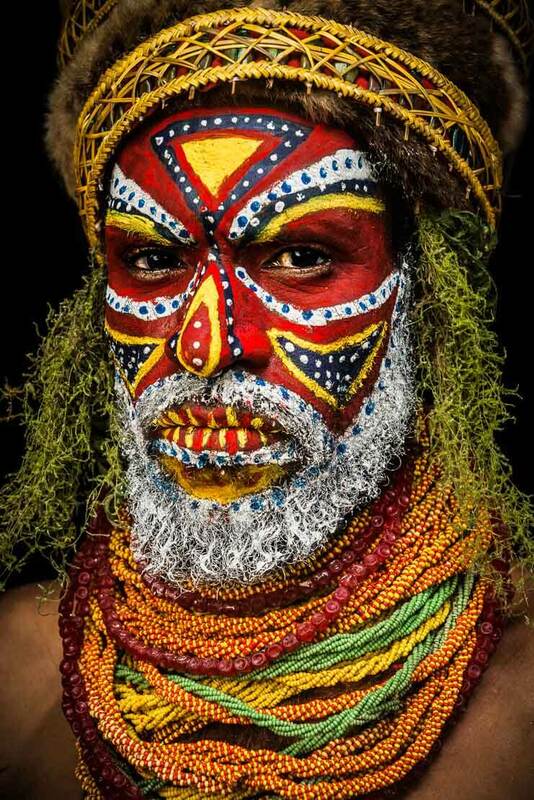 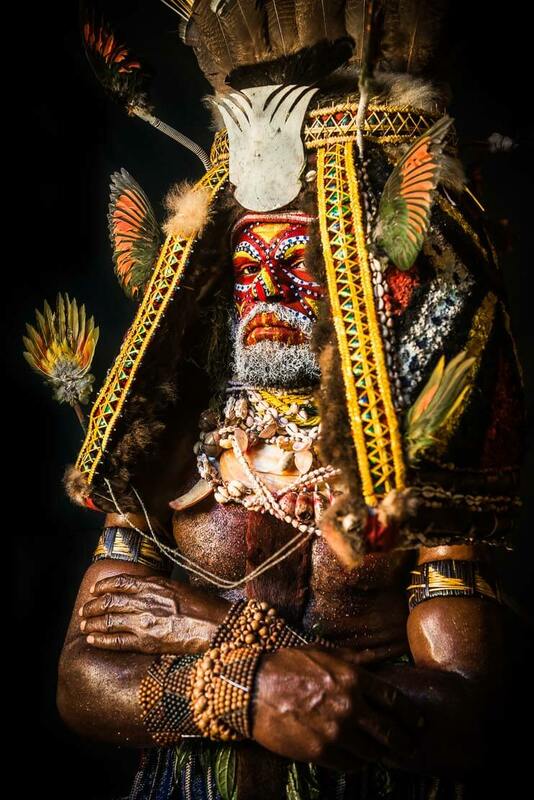 Tambul tribesman from Alkena village in Western Highlands Province of Papua New Guinea.Tambul traditional “bilas” (body ornament) includes elaborate and impressive headdresses painted in bright colours and decorated with bird feathers, their faces are painted in red and yellow stripes giving the men very fearful, warlike expression.